Palmer's 2016 vintage will continue to be remembered for the latest harvest in the history of the estate. Indeed, the harvest of this Third Classed Third Cru Classé of the Margaux appellation began on 3 October and ended on the 18th, with a rather low yield of 29 hectoliters per hectare. 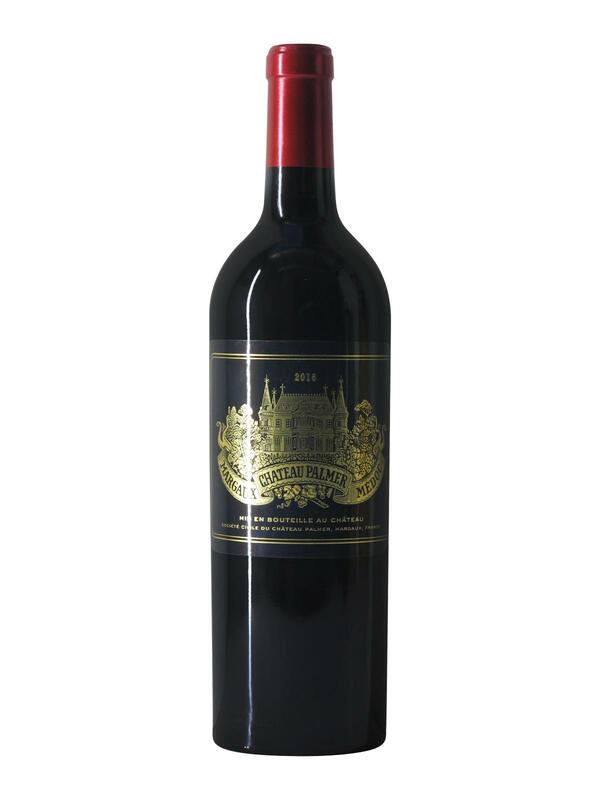 Château Palmer 2016 is a blend of the three typical Margaux AOC grape varieties with 47% Merlot, 47% Cabernet Sauvignon and 6% Petit Verdot and is aged in 65% new oak barrels. Palmer 2016 shows itself in a beautiful dress, very dark, almost black. On the nose, it gives off a great richness and a beautiful aromatic freshness, distilling layers of particularly concentrated black fruits ranging from blackberries to blackcurrants and raspberries. These fruity scents are interspersed with notes of heather and a hint of minerality. On the palate, Château Palmer 2016 is medium-bodied, with a sweet attack enhanced by a light but frank acidity. In the middle of the mouth, it reveals black fruits silky softly carpeting the palate, accompanied by aromas of truffles gaining in intensity as the finish approaches. Despite its sweet and delicate aspect, Château Palmer 2016 shows an impressive weight in the mouth. It is also characterised by its exceptional ageing potential!